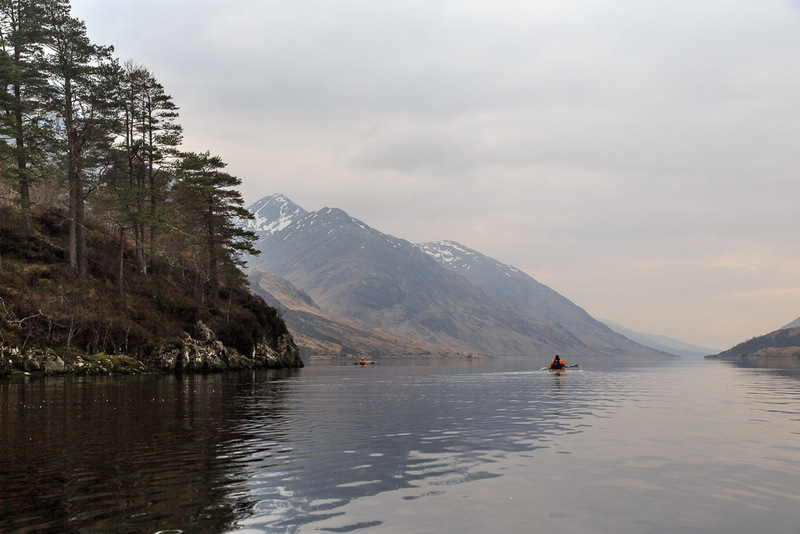 Surreal on Loch Shiel, surrounded by solitude and silence. 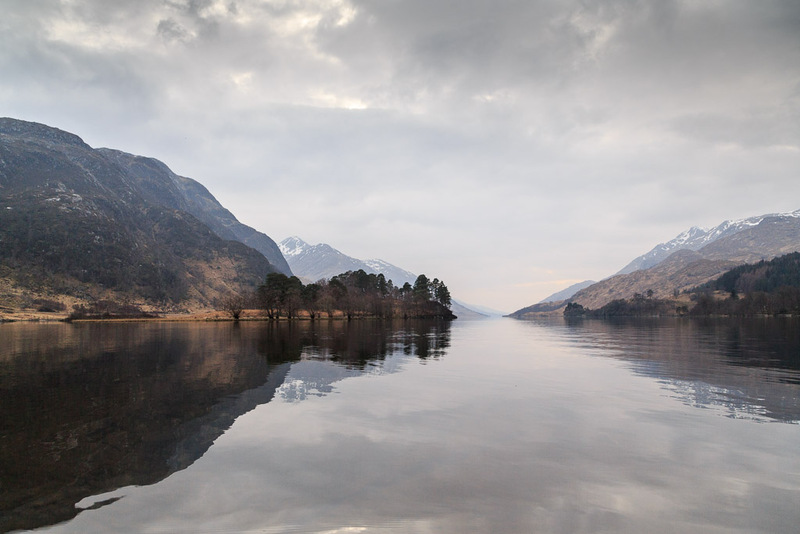 After visiting the monument to Bonnie Prince Charlie at Glenfinnan, we turned our bows to the SW and were rewarded by the dramatic view of Loch Shiel stretching away through the mountains of Sunart and Moidart. Although it is seldom visited, this view is familiar to millions as it features in the Harry Potter films. The railway to Hogwarts circles the top of Loch Shiel via the Glenfinnan viaduct. 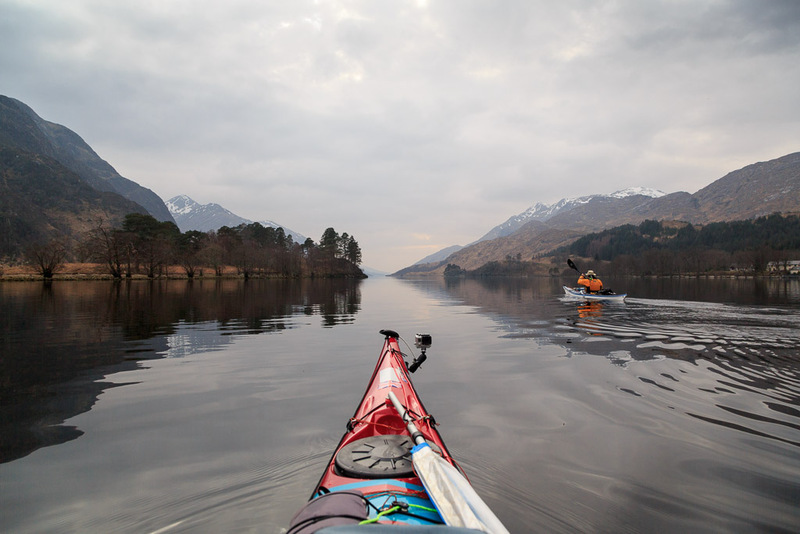 The loch stretches for 28 kilometres until its outflow into the River Shiel. It was carved by a glacier in the Ice Age and is 128m at its deepest. After the ice retreated about 10,000 years ago it was a sea water loch. However, Scotland is slowly rising after the weight of the ice sheet has gone and the loch is now 4.5m above sea level and has been a fresh water loch for the last few thousand years. There is no public road on either side of the loch and it was only recently that a forestry road was constructed along its SE shore. 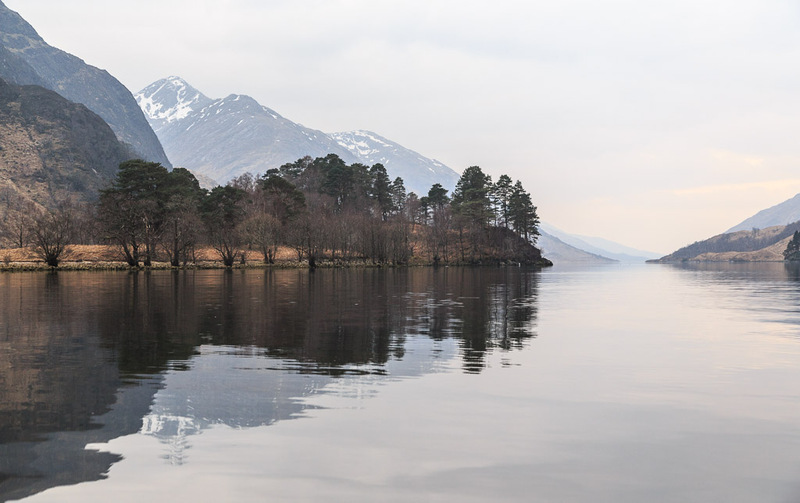 The loch side still has extensive areas of native woodland (Scots, pine, sessile oak, birch, rowan and alder) as its remoteness protected it from over grazing and clearance by man. 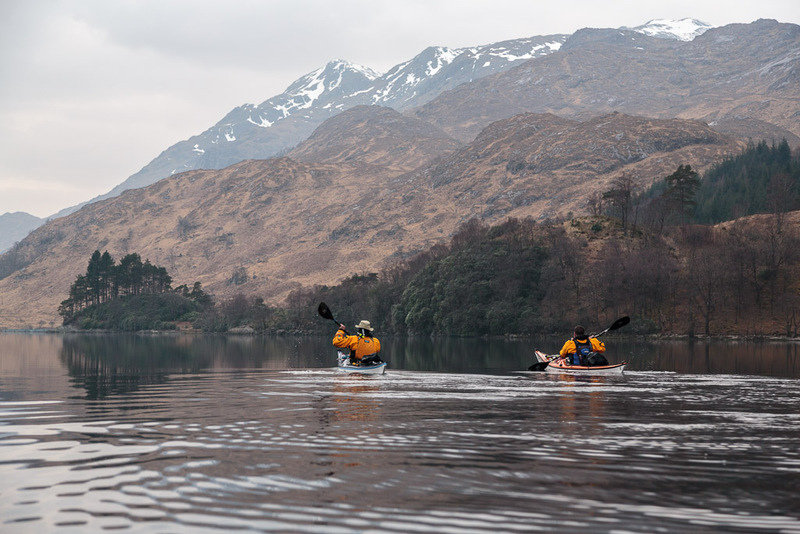 The remoteness of Loch Shiel is preserved to this day as none of the surrounding mountains exceed 3,000 feet in height and therefore achieve Munro status. As a result, they do not attract droves of Munro "baggers", those at the OCD end of the outdoor sports spectrum who collect all 282 (or whatever the current number is) summits. This creates great erosion on the Munros while neighbouring peaks, just a few feet below 3000 feet, often remain in near pristine wilderness. ...forests and mountains was our wake. 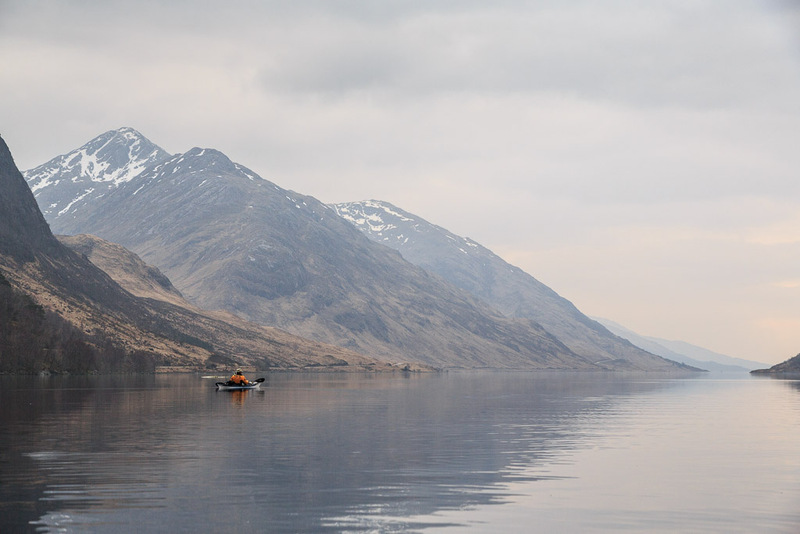 These were perfect conditions for spotting An t-Seileag (or Shiela as the monster of Loch Shiel is more commonly known). If you have not heard of Shiela you probably are more familiar with her cousin Nessie who inhabits the depths of Loch Ness. 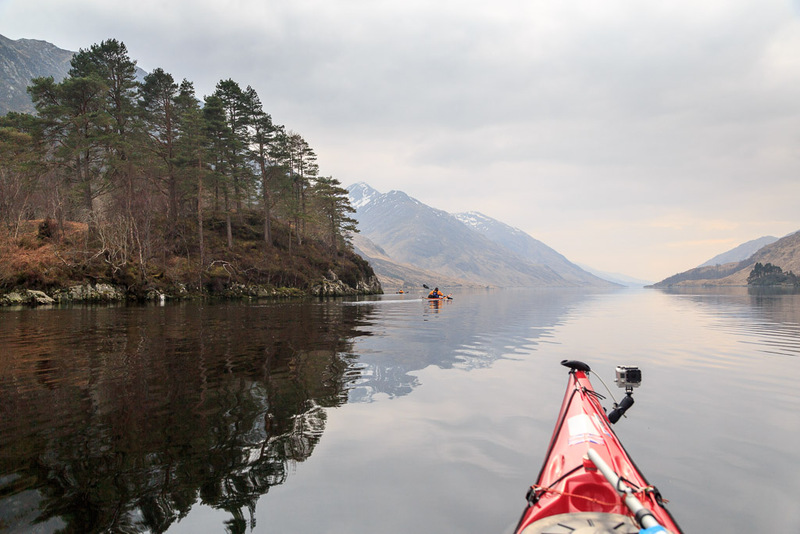 Other large fresh water lochs in Scotland also have monsters such as Morag in Loch Morar, just to the north of Loch Shiel. 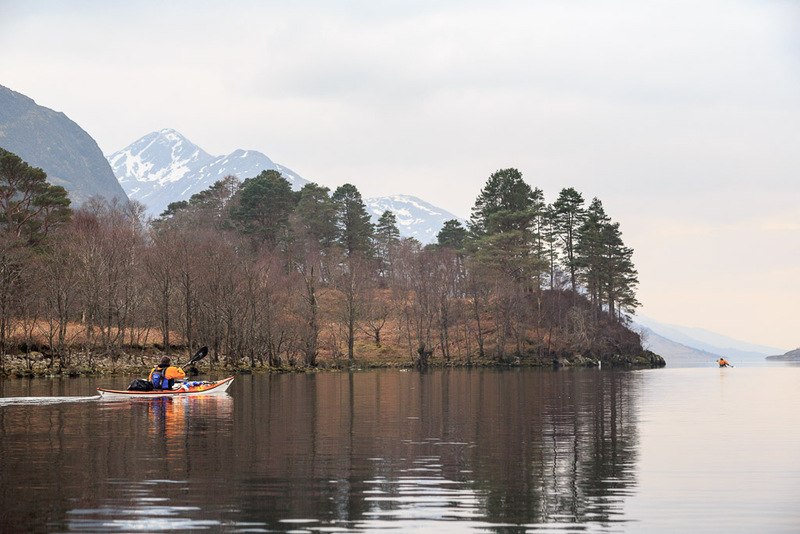 We kept our eyes peeled for any sign of disturbance on the surface of the loch but Sheila was shy and there was no sign of her serpentine coils. ....Bein Odhar Mhor, 870m on our right.